meleap inc. All rights reserved. 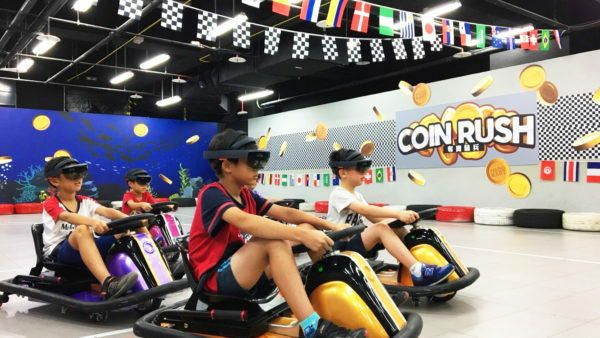 HADO is the first-ever physical esport in the world using Augmented Reality (AR) technology. 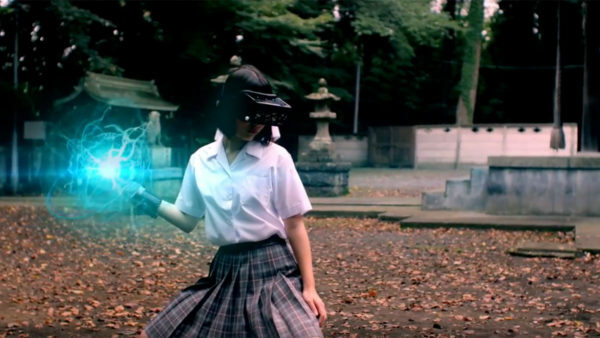 Unlike Virtual Reality (VR), HADO players aren’t restricted by the cumbersome cables, controllers, and screens required to navigate virtual environments. 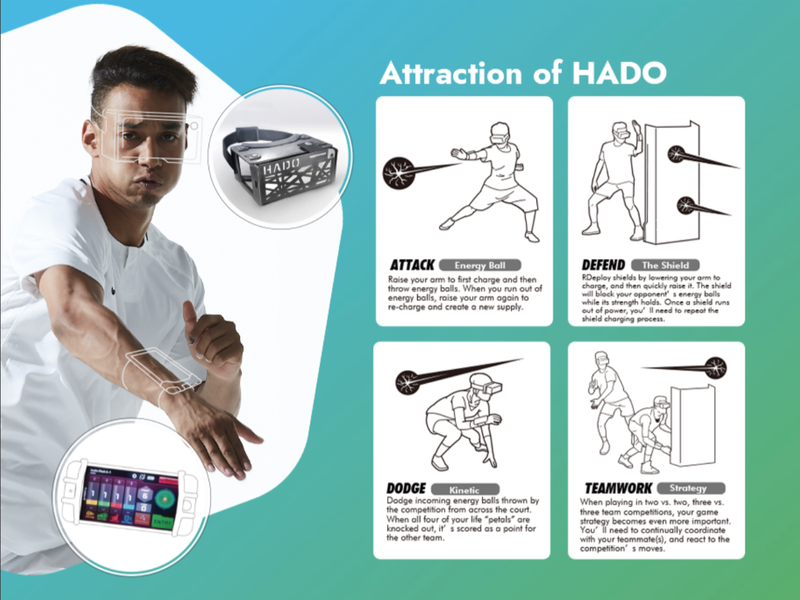 HADO players run freely within real-world arena battles, wearing wireless head mounted displays and wrist motion sensors, using only gestures to unleash super powered projectiles on opponents. 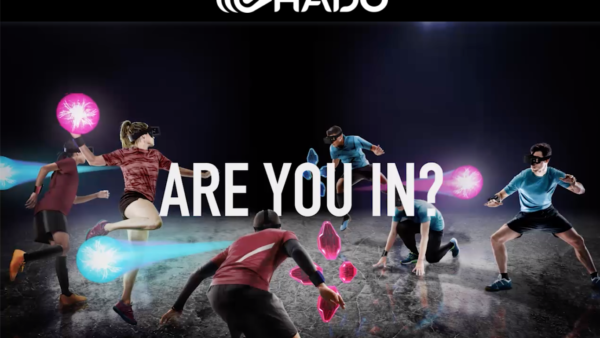 We are now aggressively building players and the entire ecosystem of HADO, with the goal of creating a HADO Pro-League which equivalent to the Premier League or UFC in the near future. 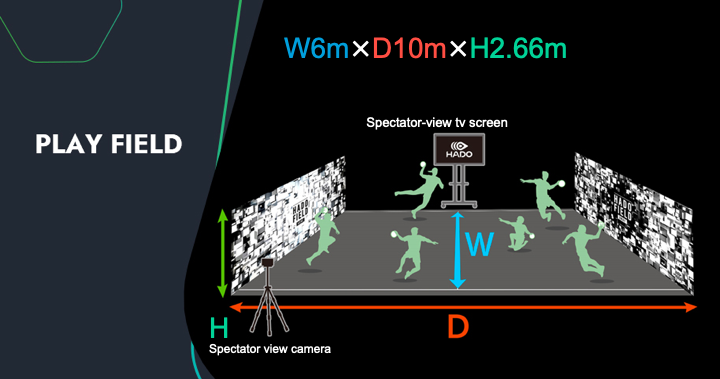 The HADO standard court dimensions are 19.7 feet by 26.4 – 32.9 feet, and surrounded by wall art that orientates the game’s augmented reality graphics. 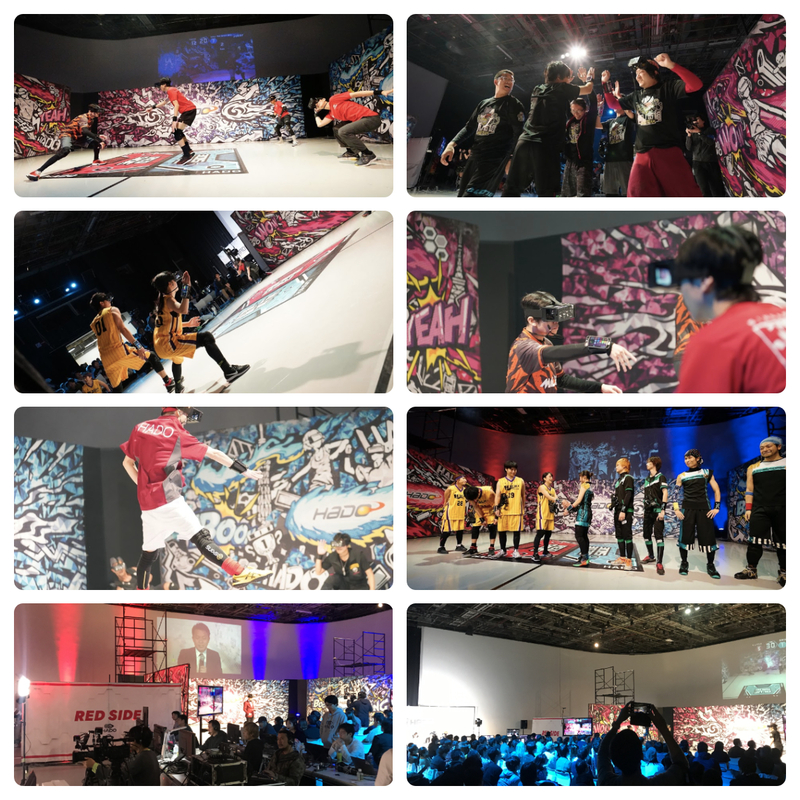 Each year the HADO™ WORLD CUP is held in Japan to determine the greatest HADO™ player/team in the world. 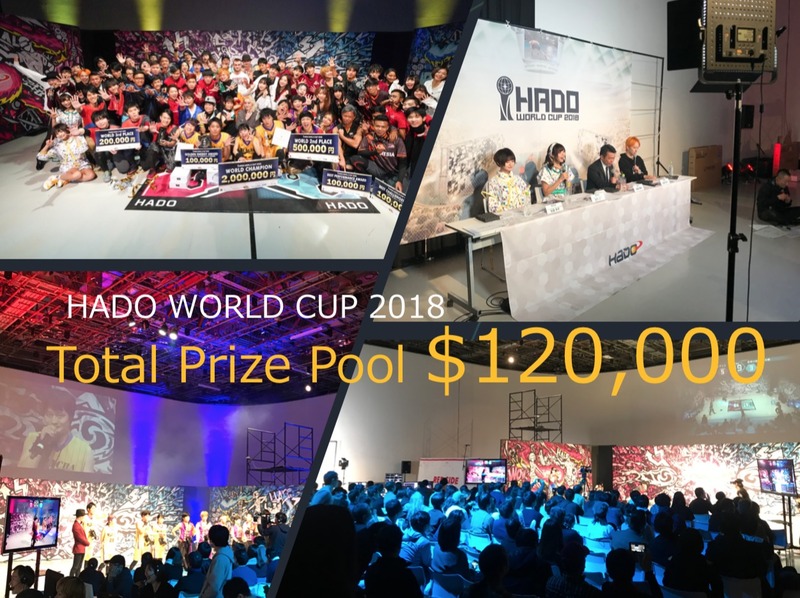 The HADO™ WORLD CUP field is expanding, as the top players/teams from each country will be invited to participate the competition. 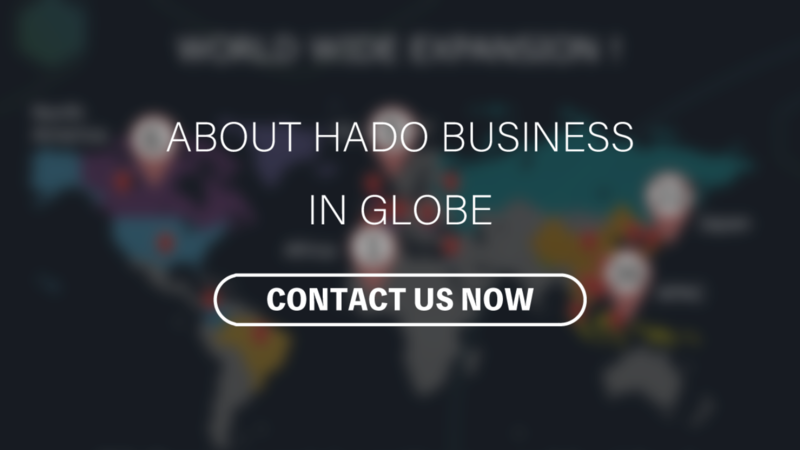 HADO USA Website is live! HADO Enters Belgium for the First Time! 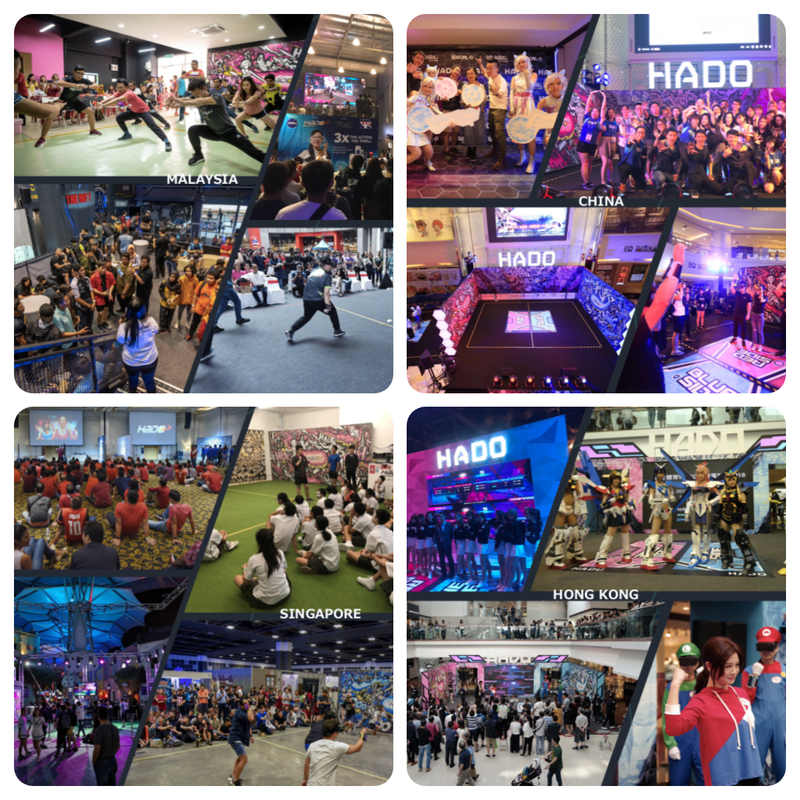 HADO Enters Taiwan for the First Time!